The Lincoln Home Builders Care Foundation was established in 2009 as a 501(c)(3) charitable, non-profit organization dedicated to the future of the home building industry in Lancaster County. The Lincoln Home Builders Care Foundation’s mission is to support the educational and charitable activities of the Home Builders Association of Lincoln. The Foundation strives to support the community by contributing to community service projects focused on housing, as well as providing scholarships for students pursuing a career related to the building industry, and providing funding for other industry related educational programs. 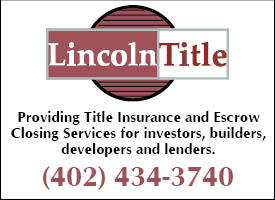 Building our community…this isn’t just a slogan for the Home Builders Association of Lincoln. Each year, the HBAL and its members contribute time and money to a variety of community projects. We believe in doing our part to make Lincoln a stronger, safer community. Together we’re helping to build a better Lincoln! The Foundation accepts tax deductible contributions to establish scholarships and other programs. Proceeds from the annual golf tournaments, chili cook-off and sporting clay shoot are directed to the Foundation.